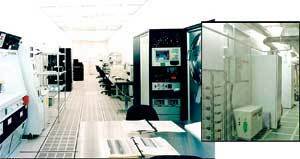 Whether you need to build a Class 1 environment for nano-technology research, or a temperature- controlled enclosure to protect delicate machinery or processes, PortaFab has over 35 years of modular clean room design and construction expertise. Featuring a complete line of modular systems and interchangeable components, we can offer a custom solution for your cleanroom application. Request a clean room design quote via the button below. 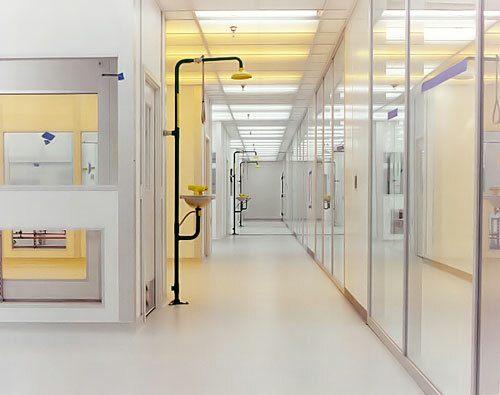 Learn more about cleanroom standards and classification. and the chase (right) utilizing a modular wall panel system. 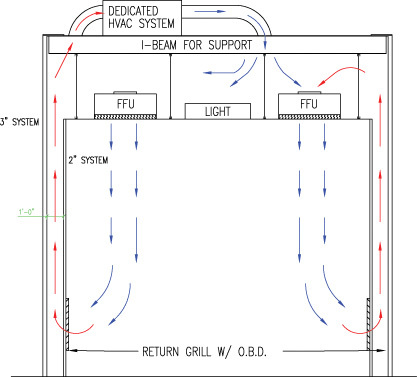 Review our CleanLine system for more information and applications of the Post and Panel clean room design. windows for enhanced environmental control. 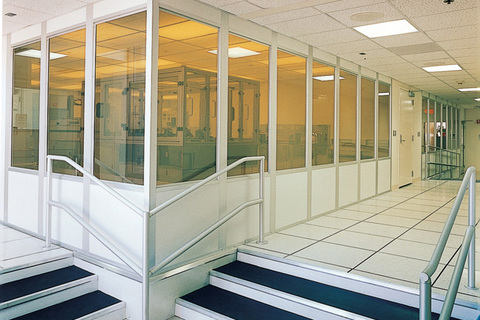 Review our Fabline Clean Room Wall System for more information and applications of a panel-panel design. for a flush, easy-to-clean surface. 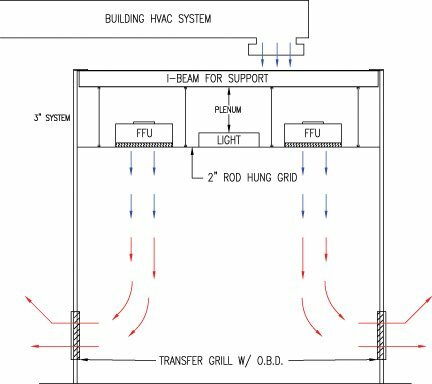 Review our PharmaSystem modular clean room system for more examples and information on double-wall designs. 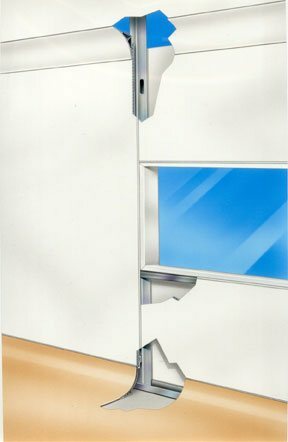 Review our Fabline Furring Wall System for more information and examples on Furring wall designs. 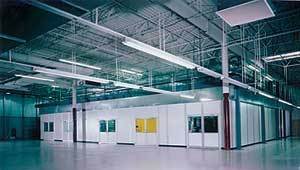 Regardless of whether you need to build an ISO 3 cleanroom for a nano-technology research lab or just want to protect critical equipment or processes, PortaFab offers three modular cleanroom systems, numerous interchangeable components, and a nationwide network of cleanroom contractors to help you with any of your cleanroom construction needs. Find a local clean room contractor via the button at right or request a cleanroom quote online via the button below.